Be Known for Something : Discover Your Church Communication Thread / Business Essentials / Not a lot of sugar. 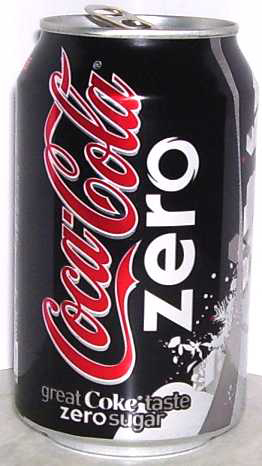 I met someone yesterday who has never tried Coke Zero. It surprised me a bit. After her initial question, I curiously asked if she’d ever had a diet soft drink. She then asked “Is it like Diet Coke?”. I said “yes, except it tastes like real Coke”. Thinking I had fully explained the product, she asked “So how much sugar is in a can?”. I backed up and took another try at it. I don’t know about you, but I’m always amazed at the questions and comments we get about PinPoint Creative Group. I think we explain it properly, and Bam! we get a question like, “so do you do business cards?”. This happened recently when we were moving from our leased space of 4 years, and our neighbor (!) asked the question as we were packing boxes. We recommend that every business owner have a 10-20 second summary of what they do. This is an excellent way to tell someone quickly (like on an elevator, or a passing person in the hallway). Key Benefit. You have lots of benefits for an audience. If you don’t you have trouble! Try to determine what key benefit evokes the greatest action. Try various ones out and gauge which one creates the greatest emotion. Use it! Key Product. Tie the key benefit to 2-3 key products or services. It’s always great to lead with a benefit that gets someone interested (and asking, “how do you do that?”); then you suggest a couple of products that tell them your approach. Call to Action. Always, always, always end with a request or question. Something as simple as “Is there something we could help you with?” or “Do you ever need anything like that?”. It creates an invitation to do business. If you don’t ask, they may not ask either. Remember as well, like the incident with the Coke Zero, you can invest thousands of dollars into communicating a product; but don’t expect that everyone will “get it” quickly. If it seems that “everyone” doesn’t get it, you may want to take a different approach. And by the way, yes, we do produce business cards. Do you need an order of them?